Missteps that can invalidate your auto insurance coverage. Besides being a state requirement, having car insurance can help you to stay protected in case a driving accident happens. Being a safe, responsible driver is critical to stay safe on the road. However, there are common habits, errors, and simple mistakes that can invalidate your auto insurance. If you’re an auto enthusiast, car modifications are part of your passion. Although there’s nothing wrong with that, it can cause an issue when you want standard coverage for your non-standard vehicle. Modifying your vehicle often means the value of it has increased, and the risk of theft and vandalism may have risen, too. Your auto insurance policy should reflect the new value and risk. Rideshare platforms such as Uber and Lyft have become incredibly popular within recent years. They provide a safe and convenient transportation alternative and they are a great way to earn a bit more money as a driver. 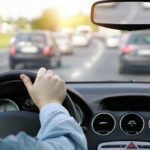 However, if you are using your vehicle for “work” then your personal auto insurance policy may not cover damages that were sustained while driving for a rideshare platform. If you’re planning on using your car for ridesharing services, you should let your insurer know. Many of us can’t live without our furry friends, so it’s natural to want to take them wherever we go. However, driving with a pet in the vehicle can be a distraction, one that most insurers will often frown upon. If the pet is not restrained properly in the car, then the auto insurer may decline a claim if an accident occurs as a result. When you’re ready to get started on auto insurance for your needs, we can help. Contact Lou Aggetta Insurance Services in Pleasant Hill, CA. We will work with you to ensure you have the right policy at the right price.